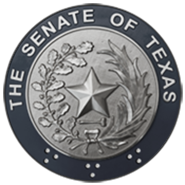 (AUSTIN) — Roughly 80 percent of the more than $18 billion in federal assistance for Harvey recovery through FEMA has already been paid to Texans according to testimony offered by the head of the Texas Division of Emergency Management before the Senate Finance Committee on Monday. Chief Nim Kidd told members that still outstanding are roughly $3 billion in public assistance grants that will take about six to eight years to settle, based on past similar recovery efforts nationally. These grants mostly go to local government entities and non-profits to help them rebuild and recover, and they will draw down these funds as they tally damage and work with state and federal officials to get federal aid approved and begin construction. "Our local partners believe we will have just under $5 billion in disaster damages across the state," Kidd told members with regards to the grants. "Out of that $5 billion, $1.3 (billion) is on the street." Kidd clarified that he was only referring to money flowing through FEMA, and that there may be other costs associated with other state and federal agencies, like the U.S. Army Corps of Engineers and the Department of Housing and Urban Development. After updating the committee on current Harvey recovery efforts, Kidd discussed the response for future emergencies and warned of some looming issues that might make federal aid funds more difficult to draw down. The first issue regards how FEMA determines disaster aid eligibility for public assistance grants, those funds intended as aid for local governments and certain non-profits. When the Governor applies to the federal government for assistance, officials in Washington estimate how much aid a disaster response would entail. If that amount reaches a certain threshold, federal funds can begin to flow. That number is based on state population, updated every 10 years with the census. Today, that threshold is $37.7 million, but Kidd warned that with the state's expected population growth, that number could go as high as $45 million after the 2020 census is completed. The state is already having trouble securing federal aid for the fall floods that led to disaster declarations by the Governor in 111 Texas counties in September and October of 2018. "I believe we have hit our $37.7 million threshold, but I think the federal government is going to try to divide the time into multiple segments to tell us no," said Kidd. The state has already paid out $11 million in response to that disaster, and it's unlikely that money will ever be paid back. Kidd said there's a similar issue with the June 2018 Rio Grande Valley floods. The state identified nearly $60 million in damages, but the federal government only counted $28 million as FEMA's responsibility. "In 2020, as our threshold goes up, I'm here to unfortunately tell you, I think we are going to have more money that we do not see reimbursed from the federal government as we respond," said Kidd. Another issue that could impact state disaster recovery relates to local and state infrastructure. There are about 3900 Harvey-related structural aid requests, totaling $1.4 billion, and Kidd believes that almost all of those are for government buildings, like public schools, city halls and jails. He worries that the federal government could one day decide not to grant disaster aid for these types of requests. "The question I'm hearing from my federal partners is 'Why does the federal government keep paying for local and state government infrastructure? '," said Kidd. He advised legislators to secure adequate insurance for publicly owned infrastructure. "That's $1.4 billion worth of damage in Harvey that we would have seen, without one federal dime coming back to help repair or rebuild," he said. Wednesday, Land Commissioner George P. Bush is scheduled to appear before Finance as his General Land Office goes through the appropriations process. The GLO is heading up a number of Harvey-related recovery efforts, and Bush will likely update the committee on his agency's progress. The Senate will reconvene Wednesday, January 30 at 11 a.m.